With this latest firmware release, Position, Rotation, and Scale are now 16-bit. That means it will provide a much smoother transition between various laser effects, cues, and gobos. The new firmware also expands the amount of color effects for lasers directly from a console. 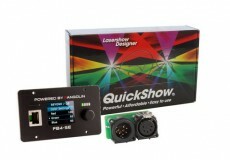 Making it easier to preform color effects directly from a console over DMX, or ArtNet. Furthermore, you can also run color effects inside of a cue or gobo. The number of DMX channels in the FB4 has also been dramatically increased, allowing for some good new masking effects that can be built into your cues, and gobos. Pangolin is also making it easier to control your show directly from the console requiring no PC in your setup. With custom profiles available for MA, Avolites, HOG, ChamSys, and more. 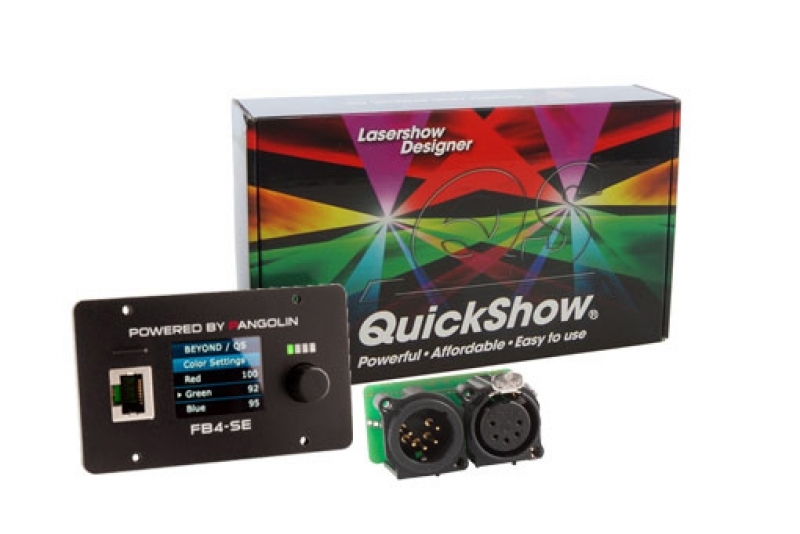 You can directly plug and play from your console to a laser with FB4, as shown in the video.